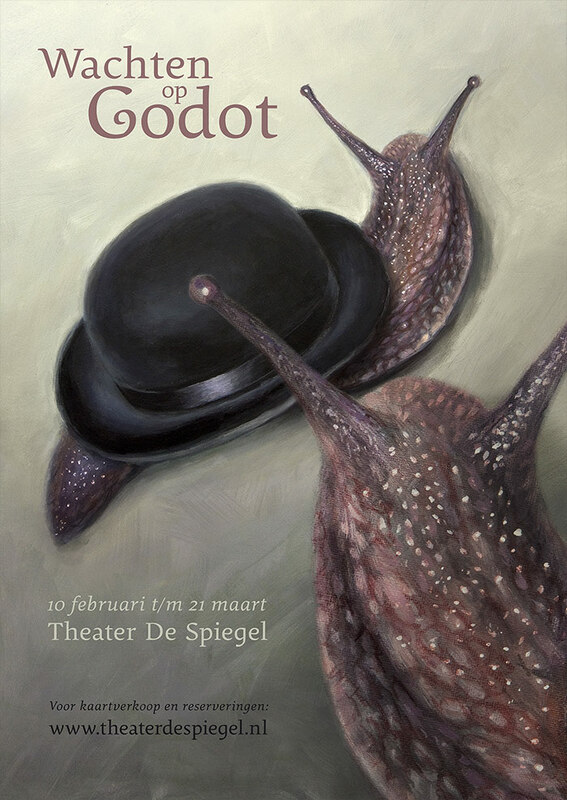 As study i have applied my authenticity ‘painting’ and ‘graphic design’ together in this poster for the philosophical theater play: ‘Wachten op Godot’ based on the novel ‘Waiting for Godot’ bij Samuel Beckett. The two snails represent the two waiting main characters of this theater play and the element of ‘time’. The longer they need to wait, the slower time crawls by.